Inspired by a Vision of Awen depicting a spear, a flowering branch, and a horned serpent emanating from three drops of wisdom, surrounded by three worlds, Christopher Penczak received a teaching to reconcile many disparate parts of modern Witchcraft into a cohesive body of magickal lore for personal evolution and enlightenment. 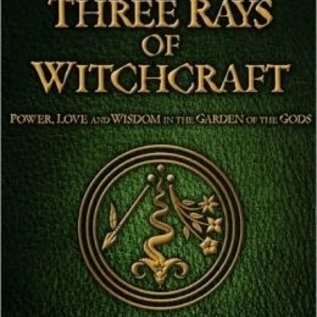 Experimented with and expanded upon, this lore is now shared through his book The Three Rays of Witchcra! : Power, Love and Wisdom in the Garden of the Gods. 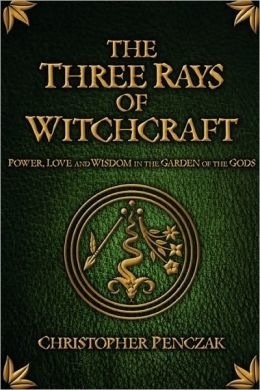 Striving to weave the diverse threads of his personal practice together, the Three Rays provided Christopher with a powerful framework to bring together modern Wicca, Traditional Craft, Druidism, Theosophy, Qabalah, Shamanism, and alternative health into a greater whole.The text outlines a model of the universe based upon the forces of Power, Love, and Wisdom. Associated with each is a ray, a path we can travel spiritually and evoke energetically. Known as the Straight Line, the Bent Line and the Crooked Line, each offers different magick, knowledge and mysteries. Each ray is associated with a race of spiritual entities with whom we can partner, including the angels, faeries, animal powers and ancestors. "... an offering full of angels and fairies, gods and humans, diverse yet connected and each with their own powers and wisdom." - Sorita dˇEste, author of Hekate Liminal Rites, Practical Planetary Magick, and The Guises of the Morriga"